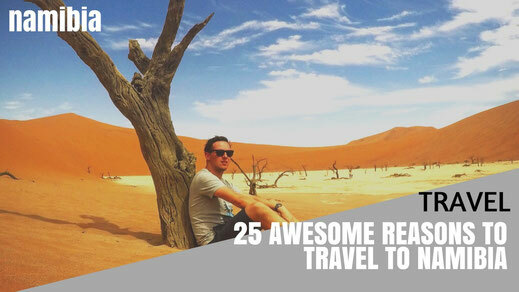 ...which you won't regret taking! The most fascinating thing about North Korea is probably that the time simply stands still. Everything you see, everywhere you go, you think you got stuck somewhere in the 70's. 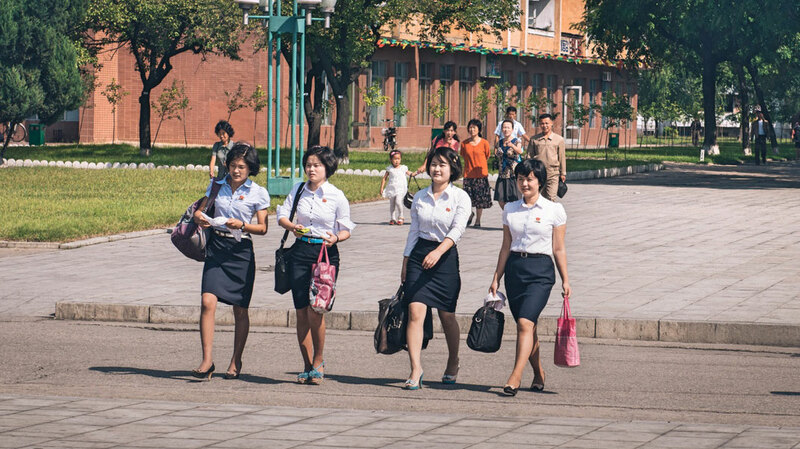 Whether it is the way the locals dress, or the look of Pyongyang. You won't see any shiny billboards, fast food chains or congested roads. 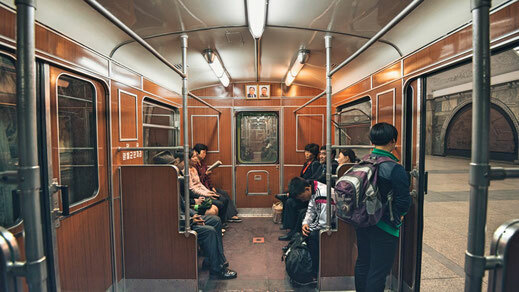 If you take a ride on the Pyongyang Metro, It will just be the same as 43 years ago when it started to operate. It is a different world and a different system. 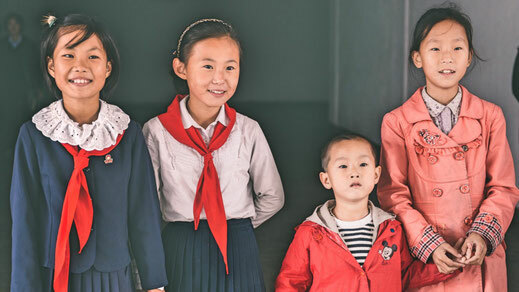 Locals earn around $30 a month but housing, health care and education are supplied by the DPRK Government. Koreans would also receive rations, for instance, any Korean is entitled to 5 Litres of local beer each month. Its infamous "Juche" system of achieving true socialism, its unique and one of the last surviving socialist countries on earth. You'll most likely see something you haven't experienced before. It is gonna widen your horizon, will provide you with a different perspective and is going to make you appreciate what you have back home. ...which will most likely never be finished. You want to see a true architectural gem? 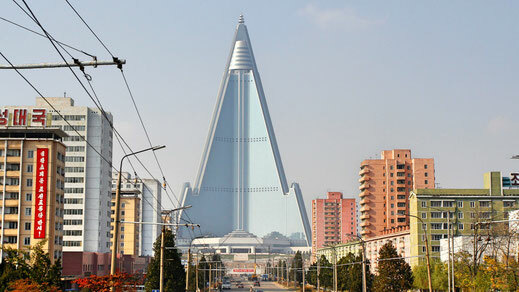 You'll certainly fall in love with the Ryugyong Hotel in the heart of Pyongyang. I'd call it the last erection of the Soviets, trying to keep the spirit of communism alive, beyond their own borders. What looks impressive from the outside, is a pretty sad story at the inside. 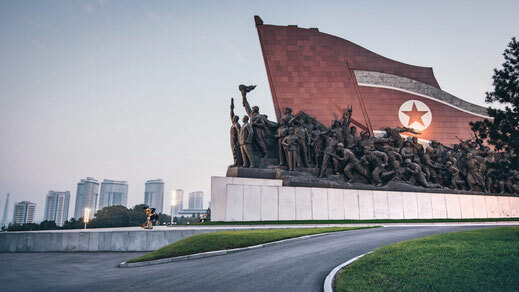 Construction originally started in 1987 and it was supposed to open for the World Youth Games in 1989, which took place in North Korea's capital. The project was funded by the Soviet Union which entirely collapsed in 1991 and with it the ambitious project. The structure would remain unfinished until 2008 when a Egyptian company finished the outside. The interior still remains unfinished until today. ...and probably the most unique. What can possibly be entertaining about a subway ride? Not much, especially in cities such as Beijing, Tokyo or Seoul. However when you take the escalator to one of the deepest subway systems in the world, you don't only travel 110 meters deep underneath the surface, but also in time. The subway system opened to the public in 1973 and nothing much has changed within those 43 years. The rolling stock has literally been in service from day one. 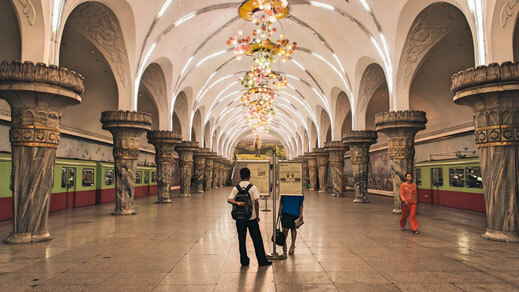 March music comes out the speakers, and the station reminded me of the beautiful subway stations you'll find all over Russia's capital Moscow. 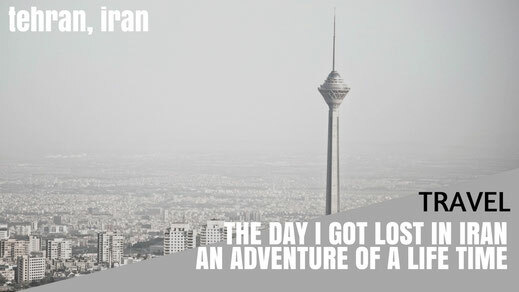 A real adventure! The subway system contains of only 2 lines, 16 stations and 22,5km of length. London's Underground for instance has 11 lines, serves 270 stations and has a length of 402km. ...and the power of the masses. 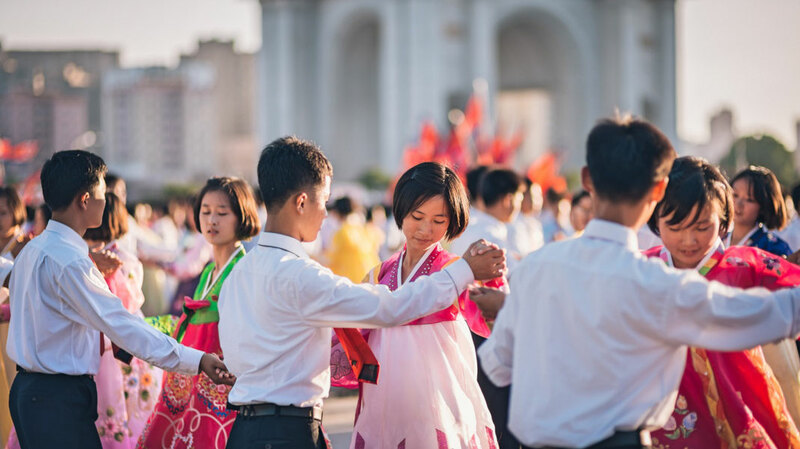 Whenever there is something to celebrate, and believe me, North Korean do celebrate a lot, a mass dance is happening somewhere inside Pyongyang. The most popular and impressive mass dances are held at the 1st of May Stadium, during the Arirang Festival. The festival takes place from August to September and are in fact a massively staged propaganda show. However, it is hugely impressive and the performances made into the Guinness World Record books. 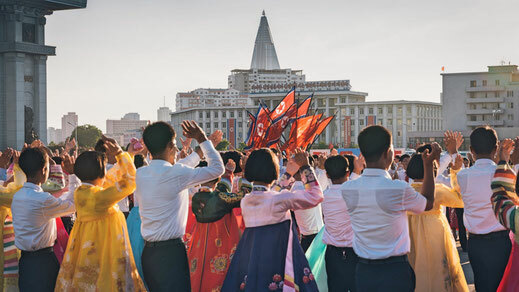 But usually you don't have to wait until August to see the mass dances since they take place all over Pyongyang for most of the year. If you are a good dancer they will even let you join the dances. It is a great way to interact with some locals and learn some new dance skills. There isn't such a thing as travelling North Korea as an individual, unless you work for one of the Embassies in Pyongyang. 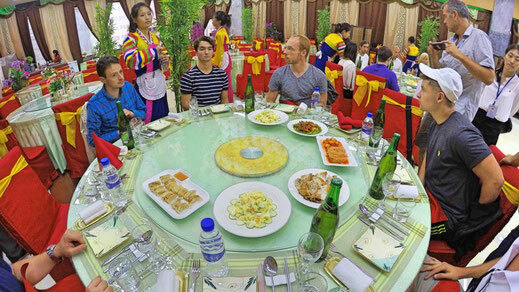 Most tours to the DPRK are, whether you like or not, strictly guided tours. 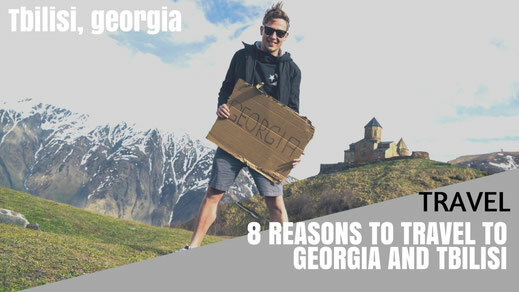 You won't be able to discover the country by yourself, or to leave your group under any circumstances. 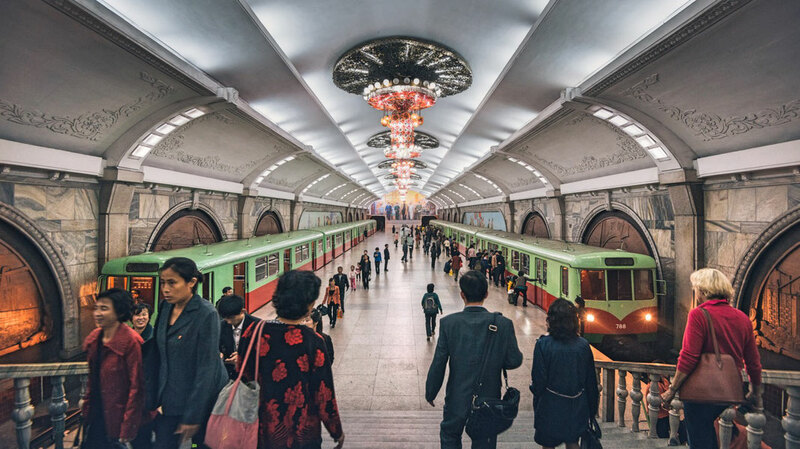 However, travellers who come to North Korea are 90% of the time really cool individuals with a big desire to discover the paths off the beaten track. 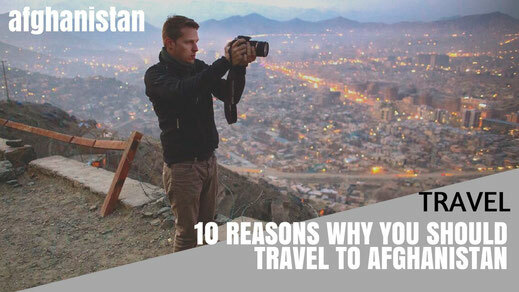 I was lucky enough to document my trip the way I wanted it which gives you an unique and honest perspective what it is like to travel one of the most isolated country on earth. Check out my video below, it is really worth it! ... as much as you can! 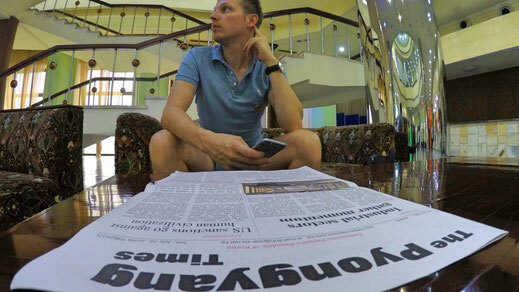 Without a doubt, it isn't very easy to get in touch with locals in North Korea. However, there have been a handful of occasions when I had the chance to speak to locals. Whether it was with our Korean Tour Guides or the staff at the hotel. Those have always been kind encounters and interesting conversations. To be honest, people in North Korea ain't as brain washed as I would expect them to be. In fact the ones I spoken to had very little interest in politics. They seem too busy with their own lives, in fact they don't even know much about the tensions between the DPRK and the United States since they don't get exposed to all those news. They shared their family photos with me, they asked me a lot of questions about my country and how my life was back home. I even played a round of table tennis with them. In fact they are just lovely people, polite and extremely friendly. They don't get a tantrum if you question their system such as Chinese always do. I guess those rare moments they get exposed to tourists coming to Korea, are moments they appreciate and value. 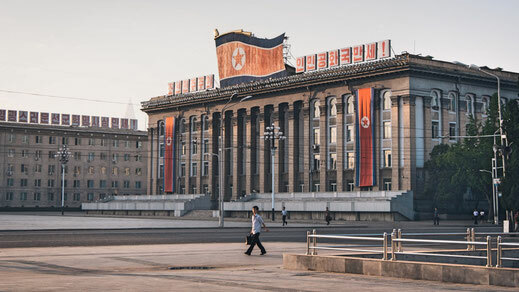 North Korea's capital Pyongyang stands out for it's unique and very socialist architecture. 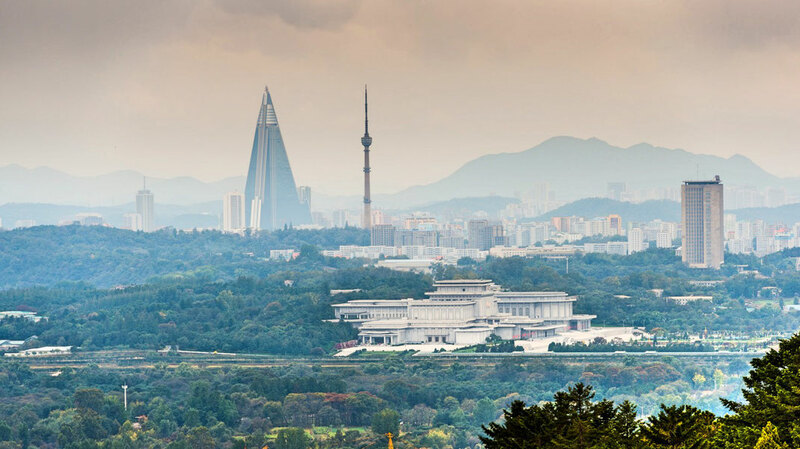 The most iconic building is probably the Ryugyong Hotel which is visible from almost everywhere. But that's not all. The famous tower is situated on the east bank of the River Taedong and was erected in honour of Kim Ill Sung's 70th birthday. The structure is 170 meters tall and made of 25,550 granite blocks, each representing a day in the eternal leaders life. 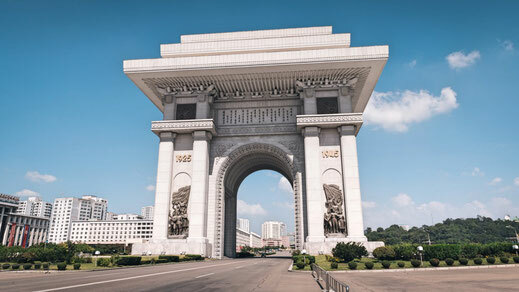 Another noticeable structure is the Arch of Triumph, heavily inspired by the one in Paris. It's the second tallest arch in the world. 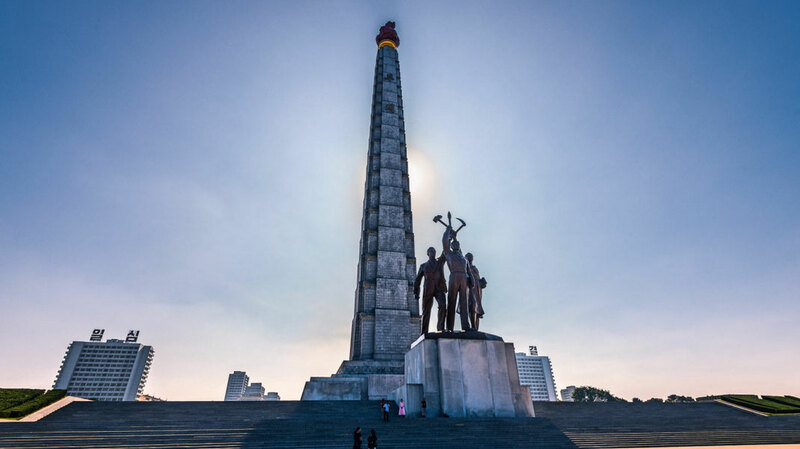 It is 60 meter high and was opened in 1982 to honour, of course, the godlike Kim Ill Sung. Fun fact, it also consist of 25,550 blocks. Also the largest stadium in the world can be found in Pyongyang. The Rungrado, 1st of May Stadium, a multi-purpose arena which can seat 114,000 spectators. 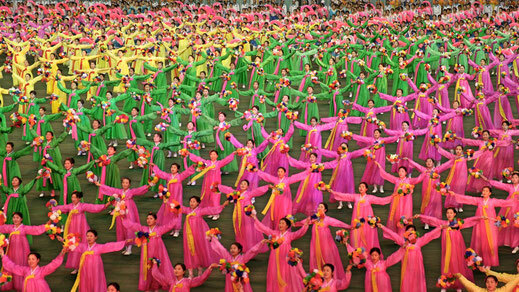 The North Korean football team is conducting most of it's game there but it's widely known for it's mass games. ...you probably haven't heard of before! When speaking of Korean food we most of the time refer to dishes from South Korea. However, North Korean cuisine isn't that bad after all. The most famous and popular one is probably Kimchi! It is literally served all the time, that was at least my experience. The pickled and fermented cabbage doesn't look anything special but it is very rich in Vitamin C and must try when travelling the DPRK. Another popular dish is Naengmyeon. You never heard of it? Neither have I. However it is extremely popular in Korea. 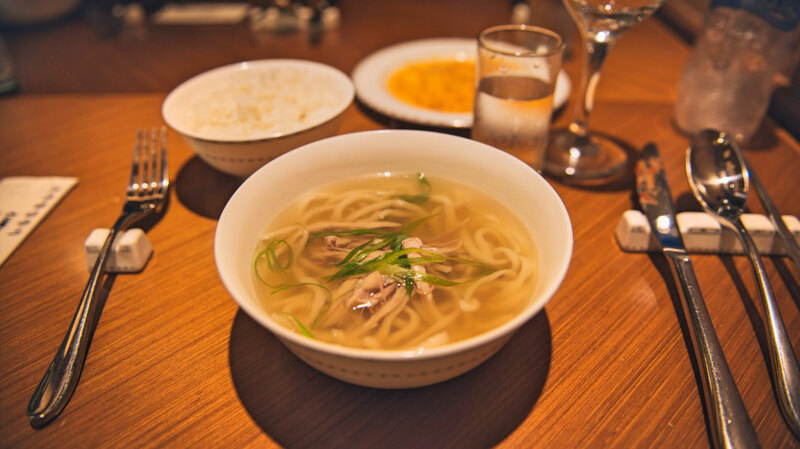 It is more or less a cold soup with noodles served in broth made of beef. It has a very strong taste of vinegar to it. Give it a try and let me know what you think. How about a sweet soup alias Bosintang? 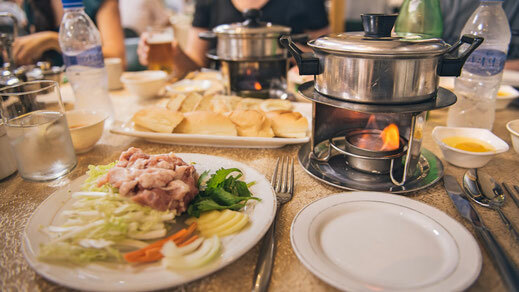 If you are really brave (c'mon you are traveling to North Korea) you can this infamous soup made of dog meat. I know it sounds strange and I personally would never try dog meat, but Korean people, both in South and North have been eating dog for thousands of years and it is simply part of their culture and traditions. ...and appreciate what you have back home. 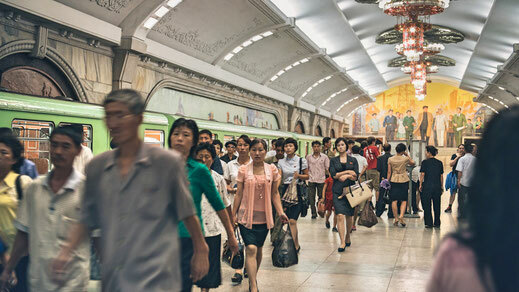 The DPRK is big contrast to the rest of the world. The country itself is extremely isolated and it's Juche Ideology, which by the words of Kim Ill Sung is the advanced version of Communism. It was in many ways signaled as a move from socialism to nationalism. Any criticism of the leaders, the Party or the ideology of North Korea can be very much be seen as an act of treason. Punishment can be severe. 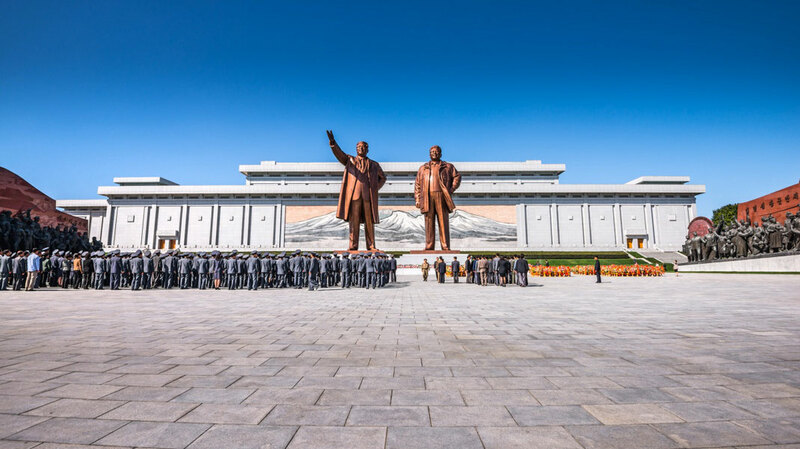 On our second day we would visit the Mansu Hill Grand Monument, the heart of the cult and home to the statues of both leaders, Kim Il-Sung, the eternal leader as well as his son, Kim Jong-Il. If you visit the place you are required to bow in front of the statues in order to pay your respect. Both are considered as god-like figures and the saviors of the Korean race. 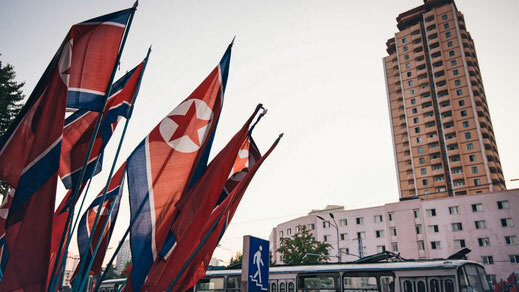 Statues and propaganda can be seen all over the country and you'll also notice the badges with both leaders faces every Korean is required to wear. It's a strange and dangerous cult, but it's worth experiencing it for sure. I feel extremely fortunate that I had the opportunity to travel a country such as North Korea. It definitely puts a lot of things into perspective. It taught me once again, that I should appreciate the freedom I have back home. The choice of creating my own life. The Korean Peninsula has always been in the spotlight of the major powers on earth and the situation looks as hostile as ever before. The question is how long can North Korea isolate itself from the rest of the world and advance it's missile and nuclear program. Nobody knows, but in times of globalisation but also protectionism, it's maybe a good thing that there exist places such the DPRK without Pizza Hut, McDonalds or Facebook. Go and see it yourself, It is truely an educational journey. Yes very much. 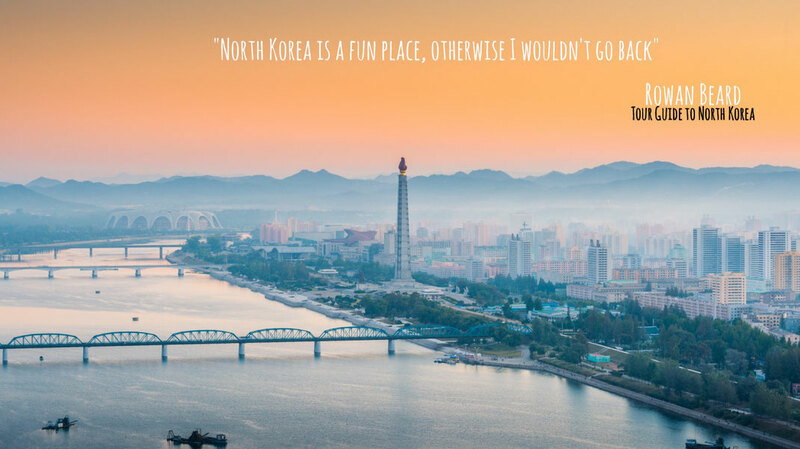 In fact, North Korea is practical one of the safest countries in the world for tourists since you can't travel by your own and your tour is guided. Can you take Photos or Videos? Yes without a problem. We were allowed to film and to take photographs 99% of the time. Our guides would let us know in advance if we weren't allowed to record. For example inside the War Museum or the Warehouse we went. But that also applies to North Koreans. 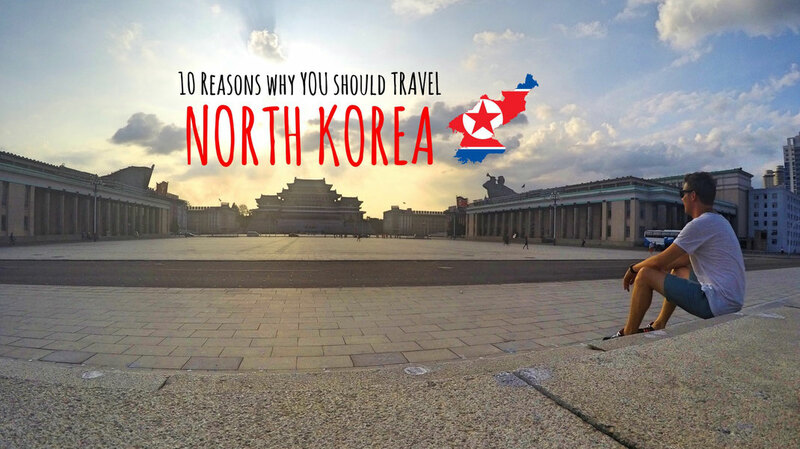 Which Tour operator took you to North Korea? I booked a tour with Young Pioneer Tours, which is one of the best if you trust Tripadvisor. 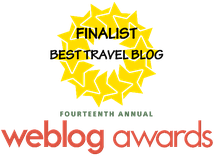 I had a great time and I would strongly recommend them. Not really. 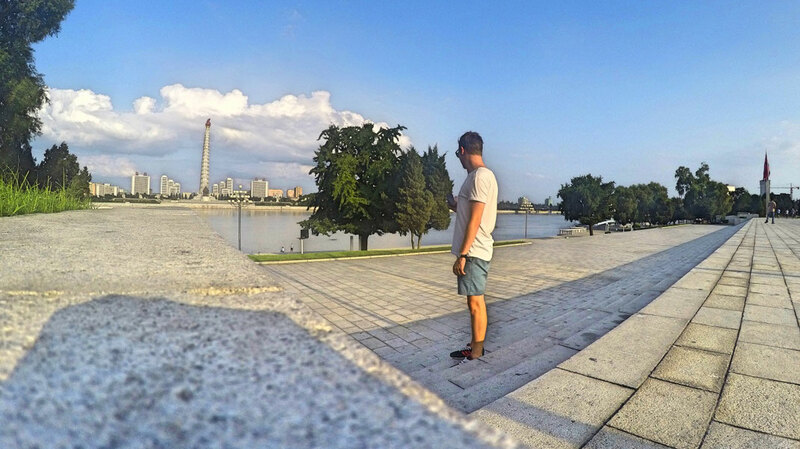 I paid around $500 for a 3-days tour to Pyongyang. That didn't include my flight to Dandong though from where the tour started. You can either take the train to Dandong or fly from Beijing. Did you fly with Air Koryo? No that wasn't possible since I only went on a 3-days tour. However, any tour that is longer than 4 days will give you the opportunity to fly directly into Pyongyang from Beijing on North Korea's national carrier. It is true that part of the money goes straight to the government. There is a possibility that you indirectly fund the weapon programmes of the DPRK. Can I travel as a Vegetarian? Yes of course, even though the concept of being a Vegetarian isn't that common in North Korea. We had 2 vegetarians on my tour as well and they were just fine. Can I bring my Laptop or Mobile Phone? Yes you can. Even though you won't be able to make phone calls within North Korea. All your electronics will be checked upon arrival and departure but more out of curiosity. No North Korea doesn't have internet, at least not for the general public and therefore you won't be able to check your emails, facebook or use your messenger. Is there anything I shouldn't bring to North Korea? Yes all religious material is not welcomed in the DPRK. However other books are just fine.